While many were outraged in the unveiling of NAACP president Rachel Dolezal as a white woman, her story was eerily familiar. Just two years ago as a graduate student, I had a roommate who played the very card that Ms. Dolezal played… the race card. My former roommate, a white woman, selectively identified as black and tirelessly fawned for the approval of myself and my other black roommates. Every conversation was an effort to state her blackness, be it how “black her brothers looked” or how her “mulatto” heritage afforded her black aesthetics. A simple google search would reveal that my former roommate was a member of numerous organizations for black women, an affiliation that afforded her countless opportunities, despite her over ability to benefit from where privilege. It was through my ex roommate,Ashley* that I saw the race card played for the first time. It was Ashley who taught me that the race card can only be played by those who assume a distance away from blackness, but assume a closer position for personal gain. Together, Ms, Dolezal, and Ashley work to demonstrate the desire of whites and other races to enjoy a degree of blackness (often through exploiting the race card), without actually enduring the true plight of blackness. While this assertion was rendered by a black women, this idea is implanted in the minds of many, in the Americas and beyond. Racism as a system, tirelessly dispels myths of white superiority by presenting these myths as factual. These myths are perpetuated via media, education, general socio economics, implanting the myths of superiority into the subconscious of Western society. Despite the structure of society that suggests otherwise, white superiority is perhaps the greatest lie ever told. Dolezal embodies the consequences of France’s Cress Wesling’s Color Confrontation Theory. According to Wesling’s theory whites stem from the albino offspring of African mothers. These albinos were outcasted due to their lack of color, and as a result suffered an inferiority complex that has lingered in the white race ever since. As a means to deflect their insecurity, whites created this system of racism that dispelled the superiority of blackness in favor of a myth of white superiority. So while the acts of Ms. Dolezal and my former roommate may perplex some, in reality they embodies the fantasies of many non- black persons in Ame rica. This fantasy being the desire to posses the beauty of blackness without truly enduring the black experience. It is imperative to note that Dolezal’s decision was not desperate, as she did not assume the identity of any black person. Dolezal used the construction of her blackness to acquire a life that many blacks themselves struggle to achieve. She, like myself attended and graduated from Howard University. However, unlike myself, Dolezal was awarded a full scholarship. So unlike many blacks who are fortunate enough to acquire an education, Dolezal was able to accumulate an education unscathed by the burden of student loans. Dolezal, like myself is also a part-time college professor. However, Dolezal was appointed a professor of African American Studied without acquiring a degree in the field. Though her light eyes, light hair and light skin may have made her an average white woman, it made her an above average black women in a system of racism that praises the presence of white features. So while the news attributes Dolezal’s affiliation with blackness to her black adopted siblings, I disagree. The juxtaposition of Ms. Dolezal to her adopted black siblings enlightened her to the advancements of her assets if she were to switch sides. She gained a heightened sense of self importance while in the presence of blacks, making her continued engagements with blacks an effort to maintain her high of self importance. Thus, Dolezals performance is within the bounds of systematic racism, as she selfishly advances at the disenfranchisement of blacks. So all those who discount Ms. Dolezal’s fallacies because you believe she is working to uplift the black race, are sadly mistaken. Ms. Dolezal plays into the many white or lighter skinned individuals who feel they should lead their darker counterparts. While the rule of the NAACP leads many to believe that blacks are at the top, this organization was traditionally operated by whites until the acts of black pioneers such as Dubois and later Medgar Evers fatally endured the challenge of intervening and making black interest the focus of the NAACP. As an NAACP official and professor of African American Studies, Dolezal did what many of her white ancestors have done before her- take it upon themselves to assume positions of leadership over black people determining their best interests and what they should learn about themselves. Perhaps most disturbing, discussions on Ms. Dolezal prompted an unworthy comparison between transracial and transgender. 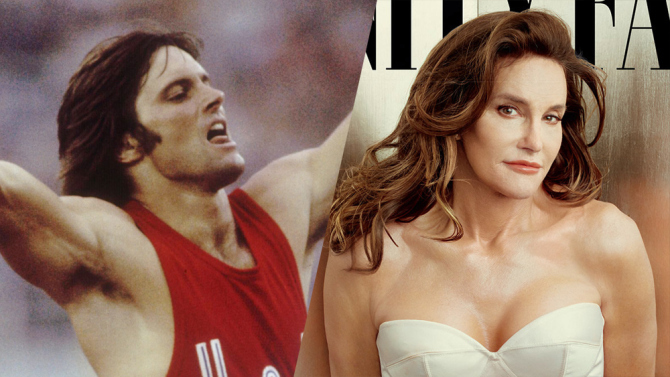 Olympian turned reality star Bruce Jenner recently unveiled his new transgender identity. This unveiling was generally well received and liberated many in terms choosing your gender. A week later this Dolezal case makes headlines and many feel that the ability of an individual to choose one’s gender should yield the ability of another to choose one’s race. The connection of gender to race is a contemporary practice that is not only personally offensive, but undermining to the dynamics of race. Yes, gender and race are social constructs invented to uphold the fabrication of white male superiority. However, the establishment and acknowledgement of gender was crafted on the absence of color. Thus if you were black you were generally understood and accepted to be excluded from gender constructs. I would argue that the tradition could of gender still hold true. Thus the ability to transition between race and gender is yet another privilege of whiteness. Blacks who change gender are still black first, disabling them from escaping the burdens of racism. Thus, to compare the ability of whites to choose gender and race to blacks is inappropriate and unrealistic. While passing did occur on the part of blacks in the past, this was not an option for most people of the black diaspora. The ability to negate skin, facial features and hair type is not feasible to most blacks. However with perms to alter the straight texture of most whites and tanning to present the allusion of an African heritage, non blacks have a greater opportunity to assume a range of proximity to blackness. 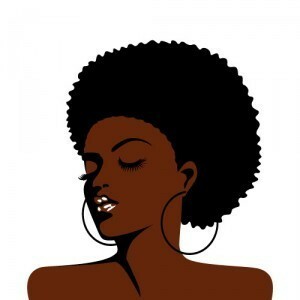 This blackness is assumed in a variety of ways, from those who alter their bodies to assume the curve of a black women, to those who emulate our curls, to those who attempt to steal our culture, blacks encompass both the color and culture to which all groups envy and in some degree emulate. In a twisted way, the behavior of both Rachel Dolezal and my ex roommate Ashley issue a back-sided compliment to black femininity. Their actions say “ I want to be you, but I lack your strength and tenacity.” While it is tempting for many to categorize the actions of Dolezal and Ashely as a facet of insanity, their actions epitomize the beast of envy bore from the black woman’s beauty. So, while folk like Ms. Dolezal and Ashely are a temperamental challenge, may their actions be all the more reason to hold our heads just a little higher as black women. That was perfectly said! I have said this to many people about this con artist! She is a total phony! You nailed it again Saaraa! You are really on a roll!lol Thank you for this great post. You never disappoint. I did a similar post on the same topic. All this race and bender bending is getting WAY out of hand! I’m really getting tired of it. It isn’t just a Dolezal thing…If you were to walk about a suburban neighborhood, one that is predominately white, you will see many teenagers listening to hip hop, wearing their pants at their knees, and wearing baseball hats backwards. All styles that were adapted due to the media and the way in which African Americans are presented. 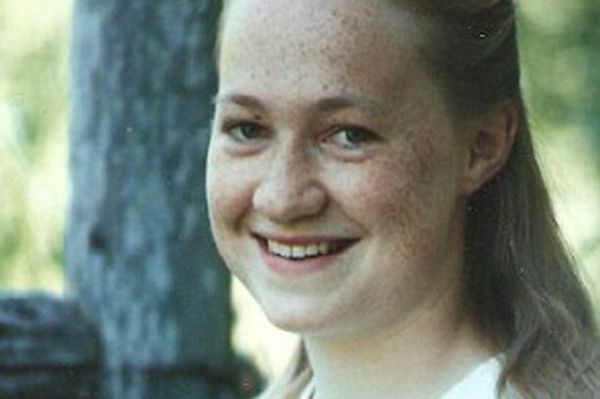 Regardless, if you approve or disapprove of Ms. Dolezal’s actions, you really have to admit..
that maybe, just maybe she may have some African American blood due to the fact that races are so very blended in this country. Almost no one is just one thing. Recently, I did genealogy for a friend and felt awkward to tell him that he was Irish. This person was a very proud black man. I do not know if Ms. Dolezal has any sort of black genetics, but if nothing else, she has facilitated a conversation in this country regarding race. Black women are beautiful, strong, and graceful. Who wouldn’t want to be such a woman? I understand women of color reacting negatively to her because it seems that she only wants to be black when it benefits her and as far as everyone knows, she is not black nor has she endured any of the hardships that many experience. I get that. Hello. This post reminded me of a book called, “Everything but the burden” by Greg Tate. Whites and other ethnic groups want everything that the African Diaspora has to offer, but not the skin color. I guess Blackness is just another ‘thing’ that can be appropriated by…everybody. Thank you for the moderation.